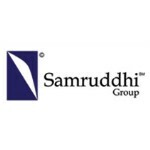 Samruddhi Realty Ltd., a Bangalore based real estate property developer, had its ambitious beginnings in 2004. We started as a group of small, yet experienced and qualified professionals. Our backgrounds were diverse, but we shared the common dream of delivering remarkable living spaces to our customers. We have, since then, been crafting homes that have not just delighted and satisfied buyers but have also surpassed benchmarks in quality, design and planning. We have acquired, developed and marketed landmark residential projects. Our team today comprises of a group of skilled, passionate and committed individuals who live by Samruddhi Realty’s core values. Our attention to detail is our strong suit and has helped us understand our customers’ needs and dreams. This has enabled us to consistently improve the delightful residential living experience that our customers relish. We take pride in the strong bonds that we have established with our Clients, Associates, Employees and Investors. The goal of Samruddhi Realty Ltd. is to build for you the home that you dream of. Our constellation of residential projects gives you an immense variety of choices.